KENYA – One of the brands belonging to the Namibia Breweries Limited, Windhoek has returned into the Kenyan market, but this time with a new partner, Kapari Limited, a Kenyan importer and distributor of wines and spirits. Business Daily reported that the come-back came after the brewer terminated its initial distribution agreement with East Africa Breweries Ltd in 2016, targeting the premium segment of the Kenyan alcoholic beverages market. “We are proud to be associated with the relaunch and distribution of Windhoek beer in Kenya and we assure our customers of wide and constant availability of Windhoek in the market,” said Mutindi Ndambuki, Windhoek brand manager for Kenya. “We are glad to be offering Kenyan consumers the best quality beer brewed according to the Reinheitsgebot which ensures our product is crafted with the greatest care and dedication,” said the company in a statement. According to the Standard Media, Windhoek variants Draught and Lager have achieved international gold standard from the Deutsche Landwirtschafts Gesellschaft (DLG) quality evaluation awards for eleven years in a row. The Kenyan beer industry is at the wake of stiff competition from main manufacturers that is and Keroche Breweries and EABL, part of global alcohol conglomerate Diageo controlling a total volume share of 71%, according to Euromonitor. Re-emergence of Namibia Breweries sets stage for beer wars, driven by strong domestic demand for alcohol, which could be more than 466 million litres in volume sales, achieved in 2015. Other brewers like United Dutch Breweries (UDB) are even positioning themselves at a better competitive edge to lure local consumers with lower costs but higher alcohol content (up to 16% ABV) for its best seller brands such as Atlas. Heineken, which is not only eying Kenya but also Tanzania, introduced a new draught beer in the local market last month, four months after unveiling Amstel, another alcoholic drink. 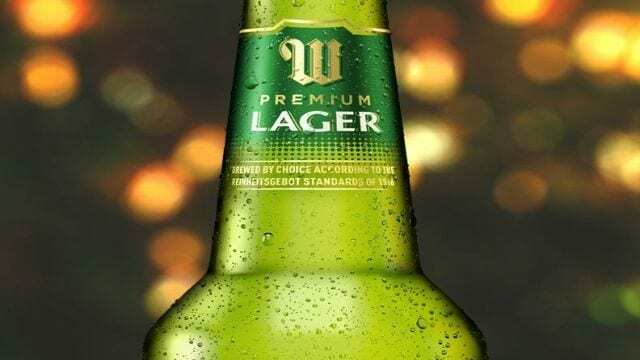 EABL entered into a deal to market the Namibian premium beer brand, Windhoek Lager back in 2010.